Learn the skills that empower you to drive innovation at work, leverage your VizExplorer deployment to its fullest extent, earn credentials that grow your career, and connect with a network of industry leading trainers who will support you every step of the way. Announcing VizExplorer University––an online training resource for VizExplorer software users. Introductory training courses cover basic usage and software functionality, while advanced resources provide proven best practices and thought leadership on relevant industry topics. If you haven't received your invitation to register, please contact us for access to VizExplorer University, or to schedule your in-person training. Super User Training & Certification is for advanced users of VizExplorer software. You will participate in a small class setting that teaches best practices and leaves you with a thorough knowledge of the software, and how to maximize it for use at your property. New User Product Training is ideal for first time users of VizExplorer software and for existing users who need a refresher course. You will get a detailed introduction to the product interface and learn its basic functionality. After completing the training, you should have a clear understanding of how to make the most of your VizExplorer software. 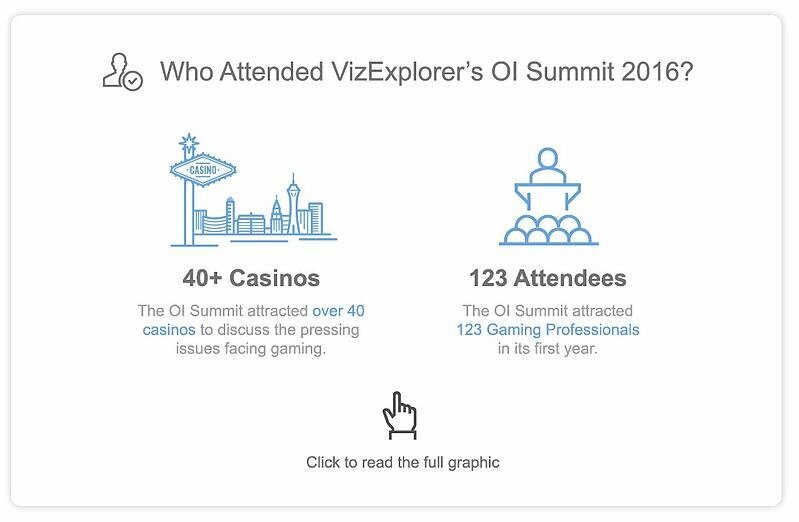 At OI Summit each year, we offer a two-day product training for VizExplorer users that goes in-depth to help you get the most from your investment in VizExplorer products and services. See the most recent training agenda. Join gaming industry leaders at OI Summit to take your operational intelligence to the next level. Hear from thought leaders on issues affecting the industry, explore the latest tools and casino technology trends, and see how companies are leveraging VizExplorer to better understand their customers and more efficiently and profitably manage their casinos. Whether you’re a general manager, a marketing executive, a host or wear many hats, OI Summit will equip and inspire you to leverage operational intelligence to take your business to the next level. We're packing in three days of insights, networking and education and offering a few options to give current users of our software the best value. Get your team to attend and add on OI Training Day tickets to get the most out of OI Summit 2017. A full-day OI Training Day has been added by popular demand!